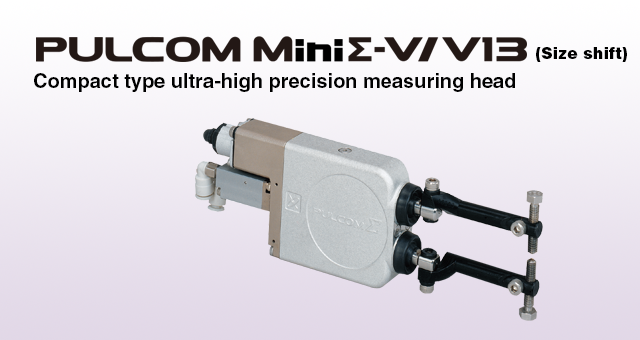 PULCOM Mini Σ-V / V13 (Size shift) Compact type ultra-high precision measuring head | TOSEI ENGINEERING CORP. 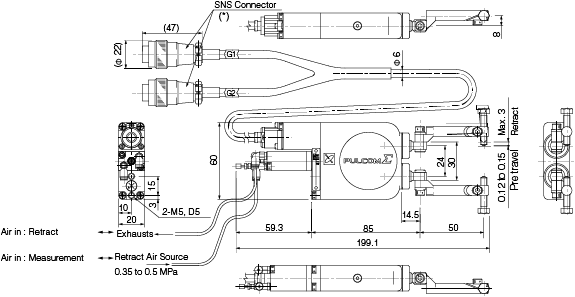 In addition to being compact, the need to change setup is　eliminated by offering a 13 mm measuring range. 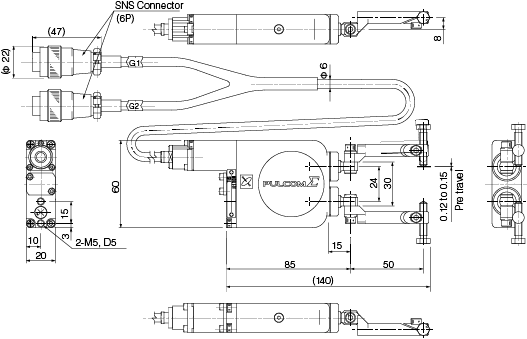 Our original fulcrum mechanism delivers high precision even when size shift is required. The new air retract mechanism provides a soft landing on the workpiece. You can now adjust the retract stroke, the measuring force and the pre travel without the need to disassemble the measuring head.